The Walking Dead ice cube tray is the perfect way to make some ice for you tasty beverages during the season 4 premiere coming this October. This silicone ice cube tray will make some pretty cool ice cubes, and it will add to Walking Dead memorabilia collection. This cool tray is now in stock and available for $13.99 by Entertainment Earth. It is actually based on the comic book, but if you’re a fan of the show, then you should be a fan of the comic. The Walking Dead ice cube tray comes with ten areas to make your custom cubes. You could actually use this for more than just ice cubes though, all depending on your preference. This would be great to make Jell-O Shots, Kool-Aid cubes for the kids, or a number of different ideas. The choice is up to you! • After decapitating zombies all day, refresh yourself with The Walking Dead-styled drinks! • Silicone rubber tray inspired by the comic book series. • Shape ice cubes, Jello, and more into zombie body parts and The Walking Dead logo! 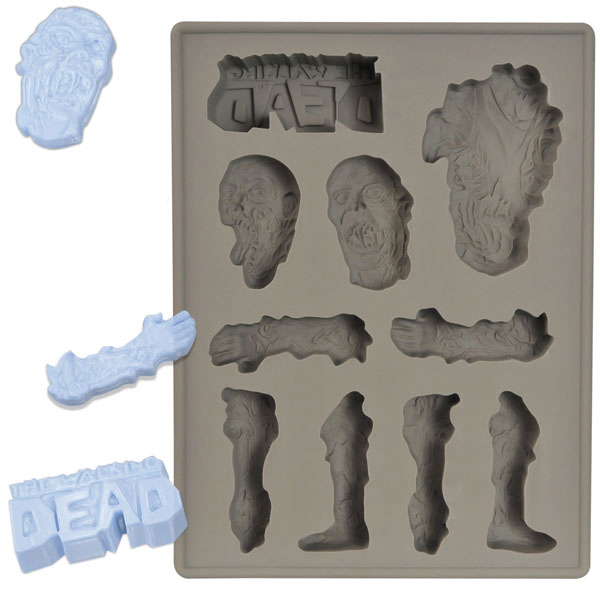 When you’ve been decapitated zombies in the hot sun all day, what could be more useful and appropriate than this The Walking Dead Ice Cube Silicone Tray? After all, shouldn’t your ice be as exciting as your post-apocalyptic lifestyle? 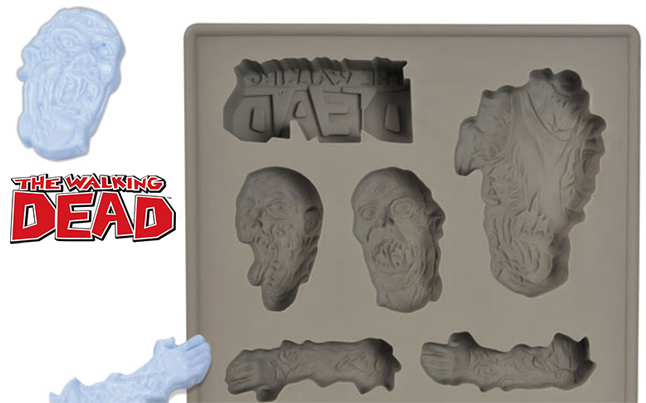 With this silicone rubber tray, you’ll be able to cast up chunks of ice or chocolate in the shape of zombie body parts, as well as the famous The Walking Dead comic book logo! Turn any party into an undead war zone with The Walking Dead Ice Cube Silicone Tray. Ages 8 and older. We have about 5 weeks or so to go till The Walking Dead season 4, so time is running out if you want to get one for your party. I have to say, that is really cool. 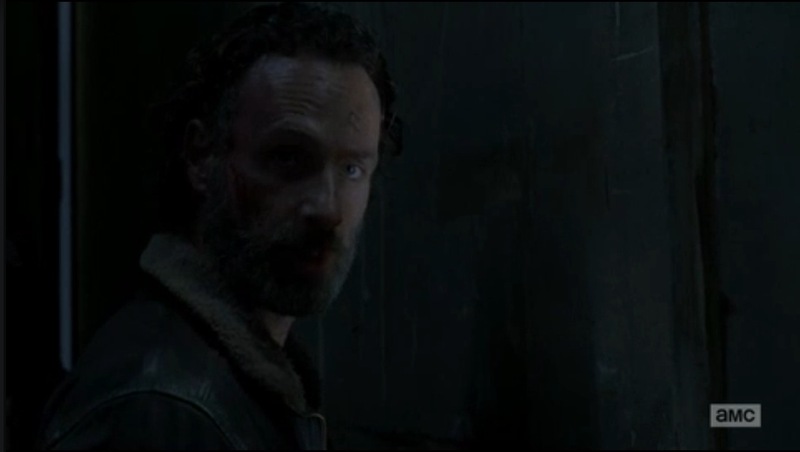 I wish I had a group that watched the show together, I would buy that in a second.